Sony Computer Entertainment Europe has made some leadership changes in response to their in-ability to get things going in the sales department of the PlayStation 3. Gamer’s continue to refuse to believe the PlayStation 3 is in a bad situation by explaining how badly Microsoft’s Xbox 360 is doing in Japan and Europe compared to the Sony console. And, of course, the Wii isn’t competition to Sony. 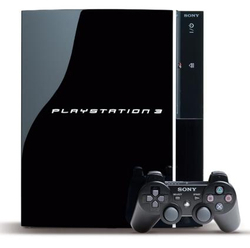 We’ve been told this is the year of the PS3, this is when they bring it all together. Nintendo’s losing some of their grip on the industry with slower sales, even in Japan. The economy isn’t playing nice with any of the consoles and sales continue to drop, reportedly 17% in March compared to last years numbers. Here in the United States, we’ve bought more Wii balance boards than PlayStation 3 consoles. One can argue that the Wii is a novelty system but that really casts a dark shadow on the PlayStation 3. The PS3 is being beat out by a novelty item? Can the new SCEE management change the direction of Sony? Sony’s in big trouble. There’ve been a few articles talking about the PlayStation 3’s death spiral, and you have to wonder if changing from Reeves to House is going to do anything. I mean, what can they do – aside from the obvious move of cutting the price, and doing that is financially destructive for Sony. As a PS – if you see the graph they include – the PS3 is about $130-140 more expensive in Australia than it is in the US if you convert the currency. It’s brutal. Maybe its high time that Sony, Nintendo and Microsoft bring their prices lower… they jacked their prices so high as if their game consoles are necessity. the world economy is going down and they can help a bit if they bring their prices lower. Microsoft did. The lowest price of the 360 is now $199.